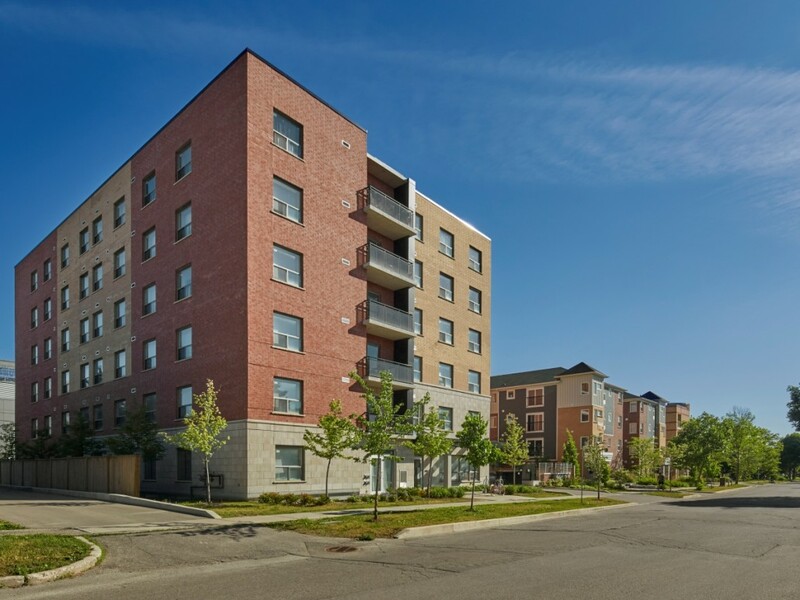 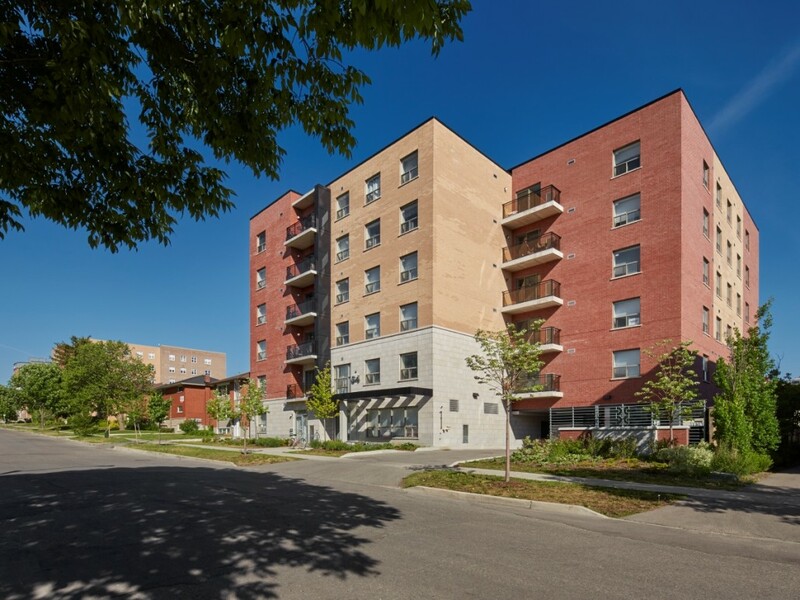 This 6-storey apartment building is part of a densifying neighbourhood near Wilfrid Laurier University. 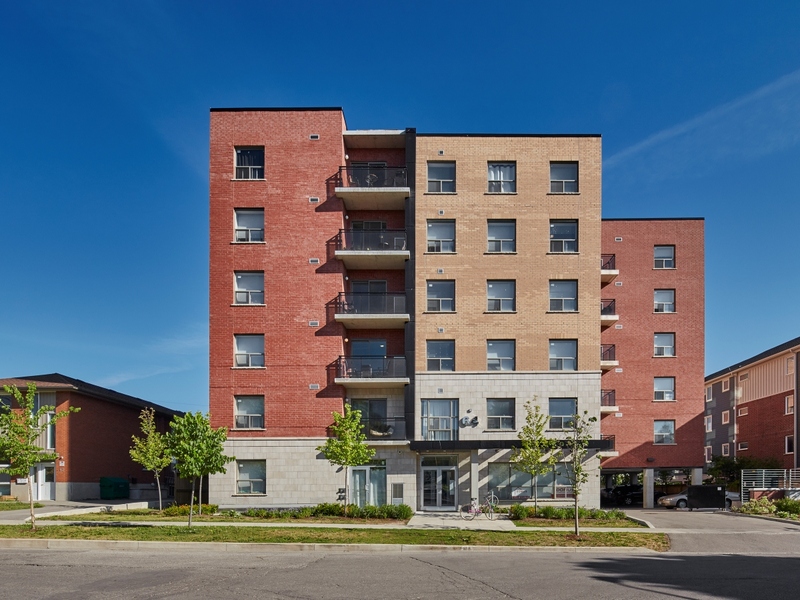 A welcoming street-facing elevation comprises a minimal mix of red and yellow brick, stone, and a black metal-clad entrance feature. 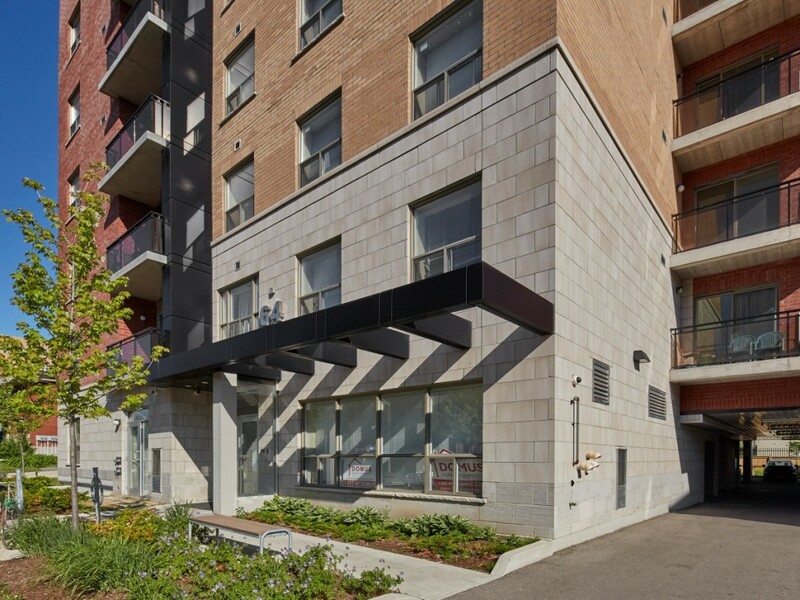 The frontage includes a pedestrian-friendly combination of landscaping, outdoor seating, and bicycle parking, with vehicle parking tucked towards the rear of the property.